For anybody interested in ensuring that their business is able to compete in the 21st century, it’s incredibly important to have a good online profile. 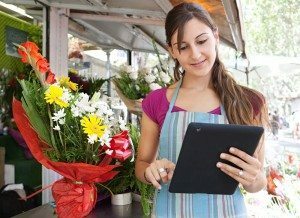 Digital Marketing is becoming the new buzzword, even for those businesses who provide physical products or face to face services. Amazingly, over 50% of the UK’s small businesses still don’t have a website, and whilst maintaining a website might not seem like the most important aspect of your daily routine, it’s a good idea to get the basics in place in order for your business to thrive. Whereas a few years ago people routinely used the Yellow Pages to search for a tradesman or a company, now more and more people just use Google, so it is essential that your company shows up in a search of your local area for whatever it is that you do. 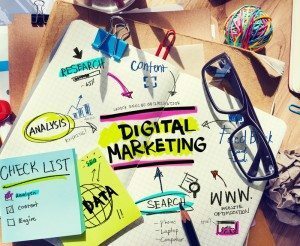 Here is a brief overview of digital marketing basics, which you may want to consider if you are trying to attract new customers to your company. As it’s often the first place that a customer will encounter your company, your website should be simple, clear and up to date. It’s now relatively easy to create a quick website with online resources such as Blogger or WordPress that can include the basic essential information about your company such as contact details, opening hours and a brief summary of the services offered. You can set up a website of this kind for free, although with websites, you get what you pay for, and for most companies it is worth spending a bit of money and having a website designed for you if you don’t know how to do it yourself. From there, it’s just a matter of building your site up to include features such as special offers and product descriptions. Many sites include an online shopping page for all of their products, and whilst such a project may be beyond some smaller businesses, using an online shop such as eBay or even Etsy for craft-based products can provide a good short-term solution. 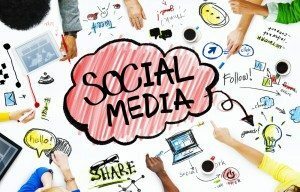 Although most of us use social media networks in a personal capacity on a daily basis, there are many ways in which these sites can be used to market your business and enhance your reputation among your potential customers. Not only do social media sites such as Twitter and Facebook offer us an instant way to communicate to our dedicated customer base, but they can provide a relatively cheap way to advertise to followers based on criteria as specific as age, interests and location. Furthermore, social media means that it’s now easier than ever to build up a two-way relationship with your audience so that they can even post testimonials and recommend you on visual sites like Pinterest or Instagram. As the internet offers us an ever more close relationship with our target audiences, it’s important to make sure that any language used isn’t too stuffy, salesy or formal. 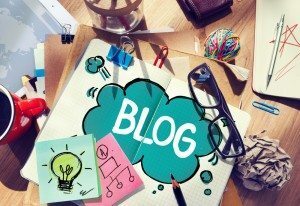 That’s why having a blog is a great idea as not only does it present a more friendly face of your company, but it can also have great demonstrative value in illustrating how some of your products work. A blog doesn’t have to be too complicated. The blog at Zinnia Folk Arts provides a nice little background story to the products that they feature, whereas Bitte’s range of baby clothing and toys is perfectly complemented by a blog that features interesting interviews and profiles on some of creators of the products. As long as your blog is relevant and up-to-date, it’s the perfect place to build a bridge between your business and your audience. The other main advantage of a blog is that Google likes to see websites which are regularly kept up to date with fresh content. A blog provides this fresh content, and this means that Google will more likely to show your website to people when they are searching for your service than a site which has just one page and never updates. If all the above is starting to make your head spin and boggle you, do not despair. The joy of social media is it can be done by anybody, not just somebody who works in the same building as you. Nowadays there are many people (including me), who work as digital marketing assitants, helping companies with aspects of their social media, website design and blogging. You don’t have to take on a full time employee – just a couple of hours a week from somebody who knows what they are doing on social media can reap enormous rewards, and give the impression that your business is up and ready for the 21st century. If you need help with your digital marketing, please get in touch – debbie@mumstheboss.co.uk. I can help you by putting together a simple template for you to follow, or if you prefer I can manage some of the regular social media posting for you, to your specifications.